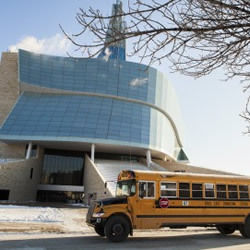 The Rotary Adventure in Human Rights program (RAHR) is a collaborative effort of Rotary District 5550 World Peace Partners with the Canadian Museum for Human Rights (CMHR). We have now completed four years of RAHR programing. By all reports, the program has been an outstanding success. The first three pilot programs were held in August of 2015, 2016 and 2017. 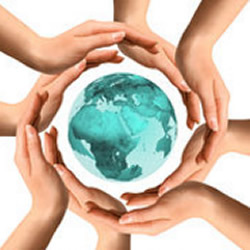 The RAHR program is now an estabished Initiative of World Peace Partners and was once again conducted in 2018. Each year we have hosted 24 high school aged students for a one week immersion program in Human Rights. What will be the themes discussed at the CMHR? The CMHR staff will be focusing on: What are human rights, First Peoples rights in a changing Canada, Gender perspectives, Democratic rights and protecting rights in Canada. What other supporting activities are being planned? A full day at the Immigrant and Refugee Centre of Manitoba (IRCOM) will be part of the RAHR program. Students will learn about different cultures and the challenges that newcomers face when coming to Canada. There will be some entertainment incorporated into the program as well. What about meals and lodging? Students will be living in the University of Winnipeg, McFeetors Hall Student Residence under the supervision of Rotary members. It is important that all students stay in residence in order to get the full experience. Arrival time is approximately 3pm on Sunday August 18th, and departure is 11am Saturday August 24th, 2019. There is no cost to the student other than the transportation cost to and from the lodging place in Winnipeg. A sponsoring Rotary Club will pay the fee for the program. Participants are encouraged to speak on their experience at the sponsoring Rotary Club or a Rotary Club nearest to their school whichever is the closer upon completion of the course. We are targeting students who are entering grades 11 and 12 in the fall of 2019. We are looking for students who are passionate about human rights and interested in making a difference in their schools. What are the deadline and how do we apply? Since we have only 24 spots we are encouraging students to apply as soon as possible but prior to May 15th 2019. The Emerging Issues in Human Rights (EIHR) formerly referred to as AGC (Adventures in Global Citizenship) is a 6-credit university course at The University of Winnipeg Global College. This summer intensive course runs for two weeks in August and explores global issues using the city and province as a living human rights classroom. Many Rotary Clubs within D5550 donate to World Peace Partners D5550 for the purpose of either sponsoring university students or donating funds to WPP for the learning activities included in Emerging Issues In Human Rights course. This is a “jumpstart” university course for Grade 12 graduates as well as a second-year credit course in the Human Rights Program at The Global College. This course attracts students who are curious about issues of human rights and democratic citizenship in a globalizing world. Because of the experiential nature of this course and the community engagement activities, students speak of the transformative impact this course has had on their lives. The course is currently being updated and revised and Global College plans to offer Emerging Issues again in the Summer of 2020. This is an international way of having students in schools from two different countries dialoguing with each other. This initiative is in the last year of a 3 year pilot program with a middle school in Winnipeg connecting virtually with a middle school in Cleves Ohio. The 2nd year had a focus on citizenship in USA. This year the students are learning how one becomes a Citizen in Canada. 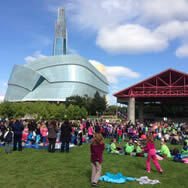 In 2010, Winnipeg celebrated with a Concert for Peace, where music was the medium to communicate the importance of working toward a more peaceful and compassionate society. Peace Days evolved, and in 2015 became a two week-long festival with community events spanning from September 11 through to the International Day of Peace on September 21. 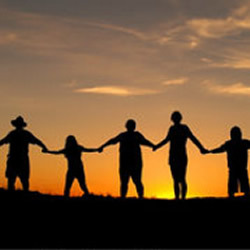 Peace Days has further expanded into additional events year round called Peace Days 365. Rotary World Peace Partners ("WPP") works supportively with Rotary Peace Fellows locally, regionally and internationally. 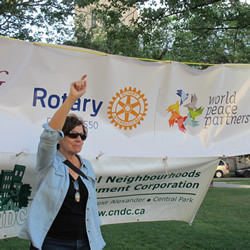 Local Rotary Peace Fellows are key volunteers in WPP programs. Rotarians in District 5550 are encouraged by WPP to recruit candidates to apply to become Rotary Peace Fellows.